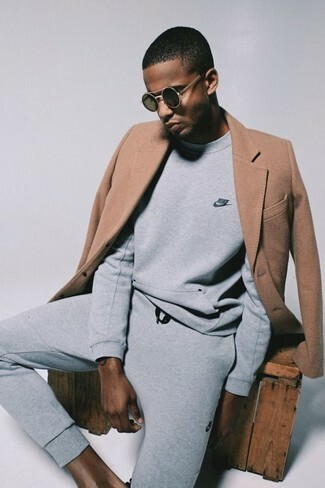 If you don't like spending too much time on your looks, reach for a camel overcoat and grey sweatpants. 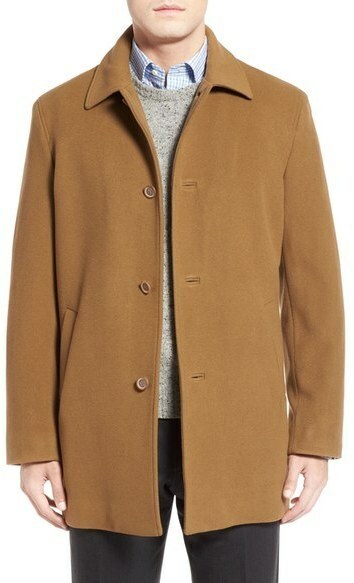 For a nothing less than incredibly stylish getup, make a Cole Haan italian wool blend overcoat from Nordstrom and dark brown wool dress pants your outfit choice. Grab a pair of dark brown suede double monks to make the look current. 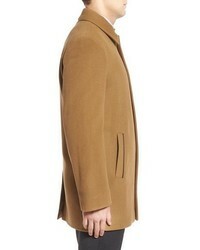 For a nothing less than incredibly stylish outfit, rock a camel overcoat with charcoal herringbone wool dress pants. 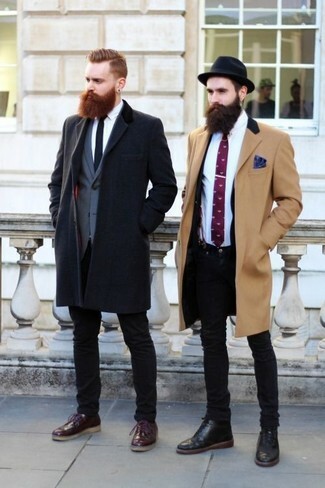 When it comes to shoes, this look is finished off perfectly with brown suede dress boots. 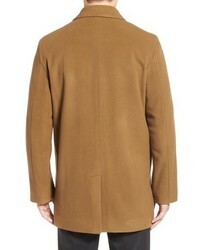 For a casually elegant getup, consider teaming a camel overcoat with blue jeans — these pieces play really savvy together. 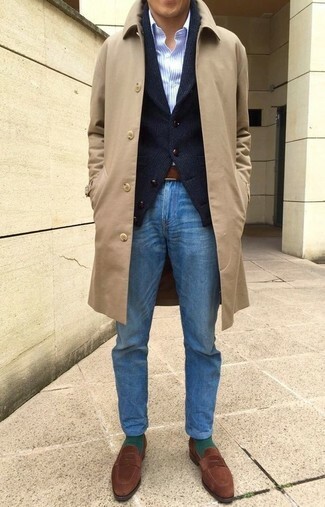 When it comes to shoes, this ensemble is round off nicely with brown suede loafers. 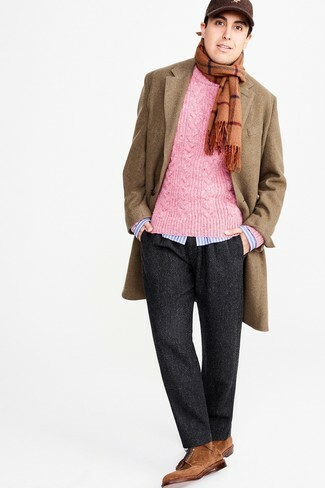 As you can see here, getuping seriously stylish doesn't require that much effort. 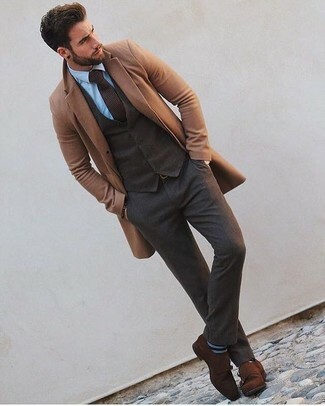 Just choose a Cole Haan italian wool blend overcoat and white chinos and you'll look incredibly stylish. 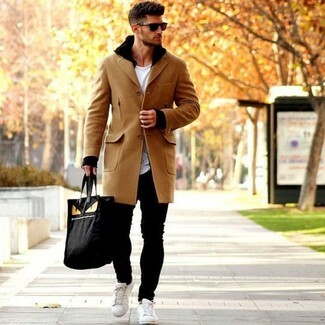 Brown leather casual boots are a good choice to finish off the look. 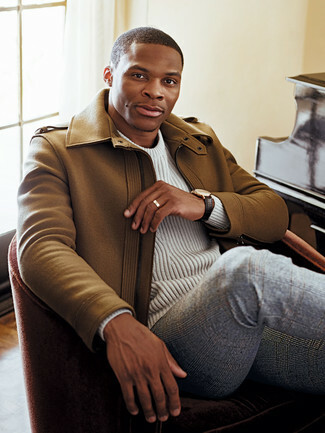 If you're scouting for a casual yet stylish outfit, make a Cole Haan italian wool blend overcoat from Nordstrom and blue skinny jeans your outfit choice. Both pieces are totally comfortable and will look great together. For a more relaxed take, throw in a pair of white canvas low top sneakers. 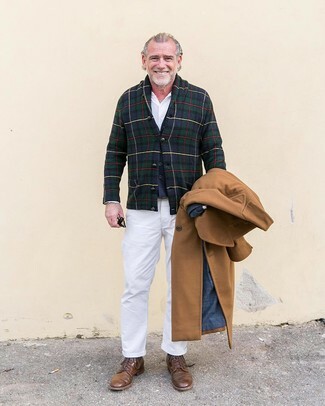 A camel overcoat and grey plaid wool dress pants is a greatcombination for you to try. 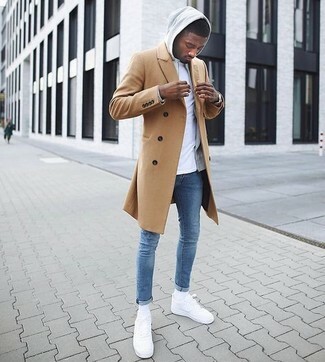 If you're on the lookout for a casual yet on-trend ensemble, dress in a Cole Haan italian wool blend overcoat and black skinny jeans. Both pieces are totally comfortable and will look great together. Black leather casual boots work spectacularly well within this ensemble. 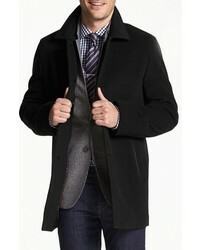 If you're on the lookout for a casual yet dapper look, team a Cole Haan italian wool blend overcoat with black skinny jeans. Both garments are totally comfortable and will look great together. White low top sneakers will deliver a sportier vibe to your ensemble.